Often we see parents are in a hurry to move their kids to front facing where the rear facing in safety seats are safer than front facing. Some of them are unaware that rear facing is way safer than the other type. Even if your child’s legs outgrow the legroom of rear facing, it’s safer than front facing. Don’t rush your child to the forward facing safety seats or forward facing mode of your convertible seat. That way you will be pushing its safety to the limits. Gradually your child will outgrow a rear facing seat someday. Actually the head marks the expiration of rear facing stage of a kid. When the head is one inch away from the upper border of the safety seat, it’s time to change the convertible to a booster seat. So, until then it’s the wisest and safest options to stick to the rear facing safety seat. The goal of this article will be presenting some noteworthy points for your consideration of keeping the baby inside a rear facing seat for maximum period of time. Remember, complete structural development of human beings take up to 24 years. Imagine, how the growth of a one year old would be? The most sensitive part of children under two is their shoulder. It’s not supportive enough for the head. And that’s why a little injury to the shoulders can cause serious harm. To protect the head and shoulder appropriate sized rear facing child seats are the best. 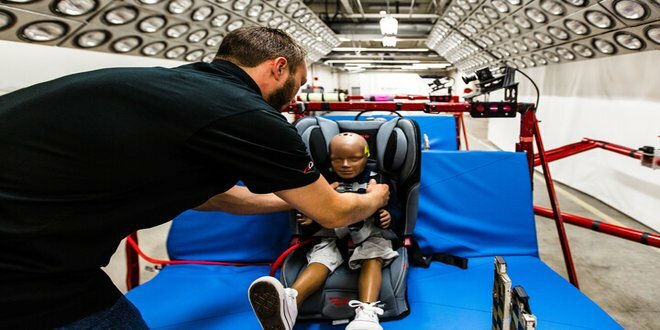 And not only the head, rear facing seats also protect children from harness shocks. Yes, it’s true. Rear facing seats are safer than front facing seats. The kids love to be in one of them. What may appear blizzard to you, is actually not. Rather it may not look classy, may not go with the aristocracy of your cars may not suit the sporty charisma of your car but it’s the right way to keep the child in rear facing. Sometimes the child may have longer legs even after having an average height. Their legs easily get out of the leg space provided inside the safety seat. Even after that it’s comfortable and safe because sleeping in a rear faced safety seat is way more fun. Yes, you may not be able to see your little angel from your driving seat but at least you get know that it’s in a safer position. And if this out of sight really concerns you can get special mirrors or cameras fitted in your car. That way you’ll be able to keep an eye on your child. There had been many experiments about road accidents conducted by govt. or non government organizations. They brought out almost exact numbers of everything after experimenting with real life accident imitation and analyzing the consequences of real life accidents. What they found out is helping us a lot in designing safer cars, safer car safety equipments, safer traffic system, safer safety seats and many more. Also, records show that 60% of all the accidents are face to face collusion and 20% are side collusion. And many experiments proved that rear facing seats are way safer for the little kids. The ratio of injury in legs and hands are 10000:1 when your vehicle meets an accident and your child is in a read facing seat. Actually we’ll not anyhow be benefited if you keep your baby in front facing or rear facing seats. But out of the greatness of heart many of our volunteers have conducted experiments and gathered a whole lot data just to sort out the truth. Here is the truth presented before you. Keep your baby inside a rear facing seat for at least two years. If the seat allows, try keeping it for a longer period. Don’t rush he baby to forward facing, it’s really not a good choice. Don’t bother about the kids’ leg outgrowing the leg space of safety seat. Babies may not like being inside a rear facing seat. Make them realize the importance. They have a bendable mind; it won’t be hard for you to trick them inside one. Choose your convertible baby seat very carefully. Try it before buying. See if it fits your baby and car. 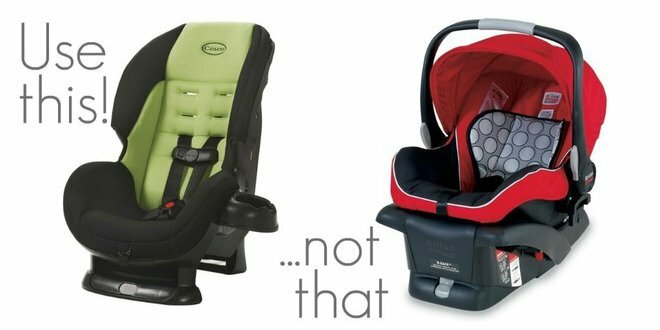 Without buying a proper safety seat you’ll have no luck securing your child inside a car. 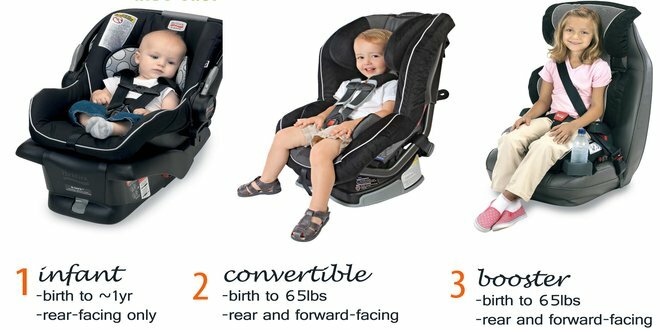 To ensure maximum safety you need to fit he seat inside the car appropriately and adjust all the harness and latches according to the baby’s size. Get size and height adjustable rear facing seats. 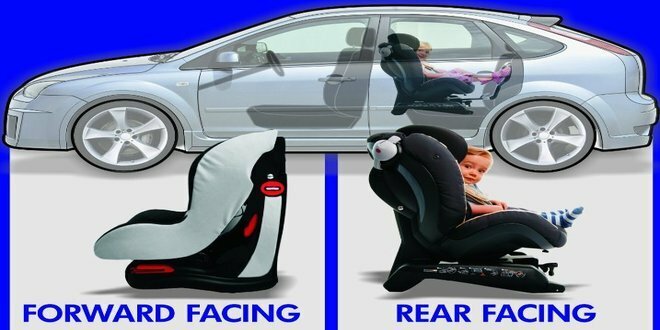 Here you go, It’s almost everything about rear facing safety child car seats that we could provide. We hope that these experimentally proven information will someday be able to save he precious life of your kid. Please don’t forget to spread the word and drive safe folks.